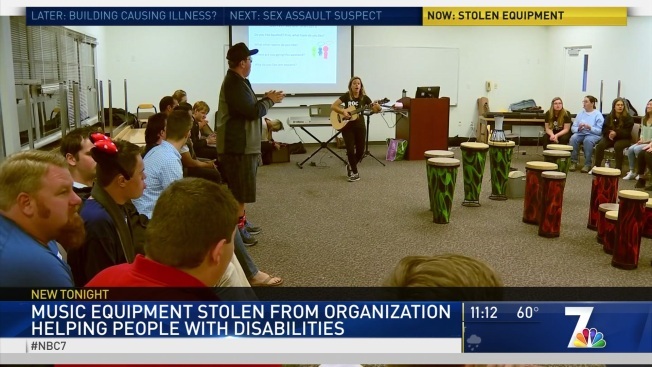 A local nonprofit that uses music to help people with special needs has had thousands of dollars-worth of musical equipment stolen twice in six weeks. Shattered glass can still be found on the ground outside Banding Together's Mission Valley office. Thieves smashed the back window of the nonprofit’s van Tuesday morning and made off with guitars, drums, and musical equipment Banding Together uses to teach special needs children and adults social skills. Together they sing what they call catchy social songs. Normally the participants are able to totally rock out, but Wednesday night's session was a bit more acoustic than normal thanks to a crook who took at least $7,000 worth of instruments. Tuesday night’s heist was the second time Banding Together has been hit since February 15. “We're thinking, Oh no! Please tell me not again. You don't even want to open the door and look inside,” Banding Together co-founder Julie Guy said. Harwell was able to use the theft as a teachable moment, tying it to a concept they call being flexible thinkers. “We will be flexible and figure something else out,” jammer Kiarri Kilgallon said. The guitar Kilgallon loves strumming was among the items stolen. Despite the loss, Harwell and her bandmates are still producing smash hits that have become the soundtrack for socialization for participants like Michael Strohbehn. “He becomes the best of Michael when he comes here, that’s why it’s so important for me to see and for him to experience,” Michael’s mother Connie Strohbehn. 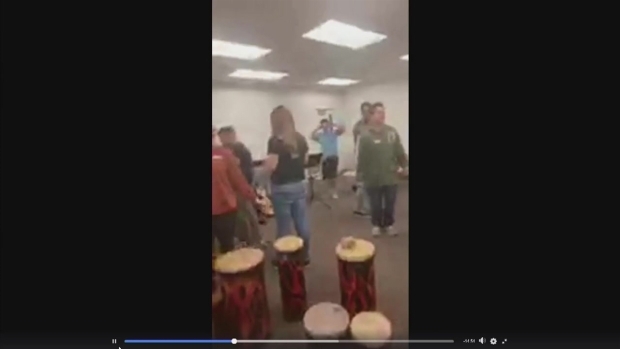 Though Banding Together is based in Mission Valley, the theft also affects people who attend jam sessions in Point Loma, El Cajon, Chula Vista and Carlsbad. While there are security cameras in the area, none of them captured the crime. Anyone with information regarding the theft is asked to call the San Diego Police Department. Banding Together has set up a crowdfunding site to to raise money for an alarm for the van, a secure parking location and insurance deductibles.